I hope you're having a lovely Easter weekend. So this is a post for all you chocolate lovers! 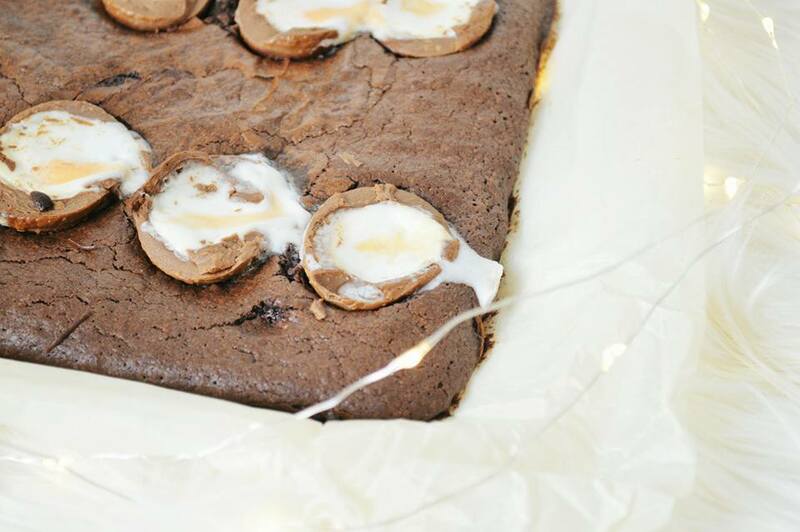 I absolutely love a brownie and it's probably one of my favourite things to bake too! You can make a brownie in so many different ways as it's basically a cake mixture which isn't cooked fully. My mum likes a brownie when it's very cake like, whereas I really like a brownie which is soft and very gooey! I love to pair a chocolate brownie with whipped cream and strawberries, it's the best way to have it! Or even with very light and airy ice cream! Just like what you would get from the Toby Carvery! If you have had their chocolate brownie sundae you'll know exactly what I mean. However, this is the creme egg edition, perfect for Easter! 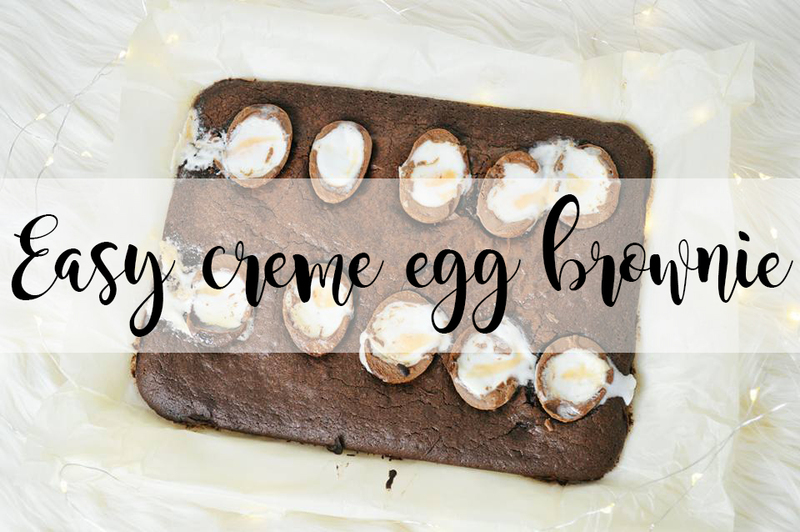 I have been wanting to make this for so long but I always tend to eat the creme eggs before I get around to making the brownie; chocoholic troubles. 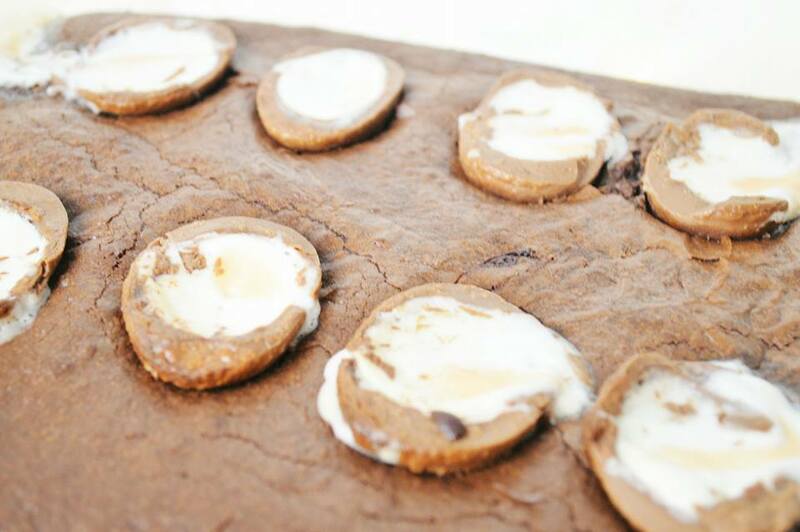 5 creme eggs cut in half. Preheat your oven to 180 degrees and line two rectangular tins. Combine the sugar, eggs and vanilla and whisk until well combined. In a microwave heat the chocolate and butter together. Add the melted mixture to the sugar, eggs and vanilla. Do not whisk too much! Stir in the flour and baking powder and mix until just combined. Do not over mix! Pour into your lined trays! 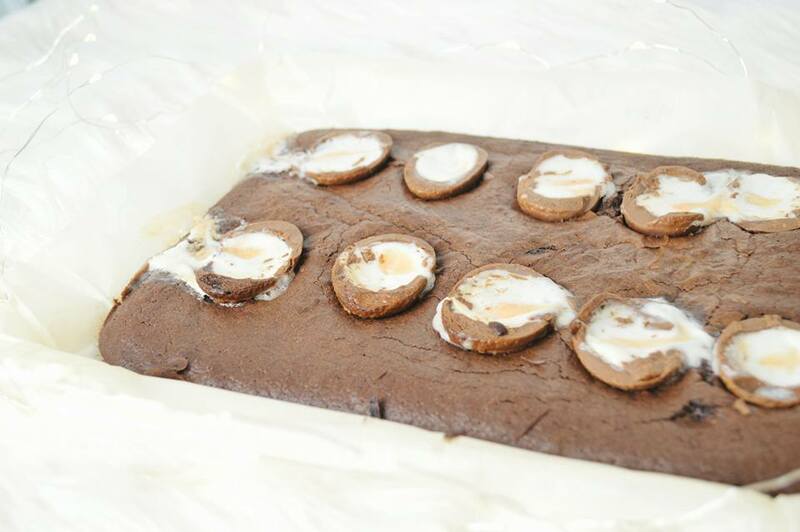 Bake for 15 minutes, add the half creme eggs and bake for another 10 minutes until the brownie has a slight wobble. I have to say this brownie disappeared extremely quickly, once my brother was home there was nothing left! It's definitely the perfect treat for the Easter Period when Easter Eggs isn't giving you enough chocolate! I hope you have a lovely Easter Weekend, let me know what you're getting up to! I need to try this. I bloody love brownies, but I'm trying to be good haha. Maybe I'll make this on one of my 'cheat days'. YUM.